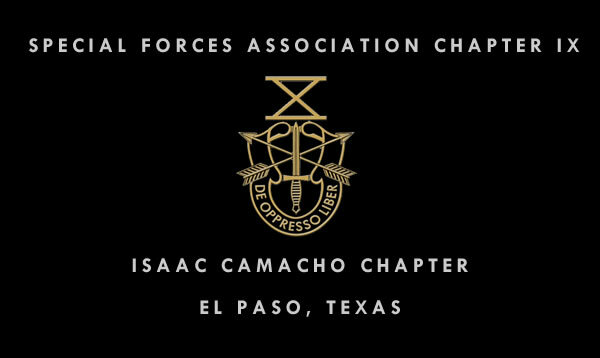 SFA Chaper IX Commo Sgt comments (not necessarily the views of Chapter IX): Note that technically, the U.S. Military has only one 'Special Forces ' - Army ' Green Berets ' - but since S.F. 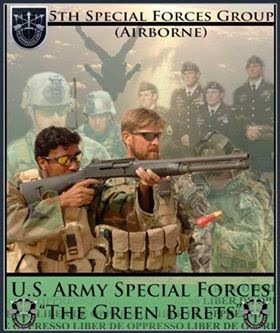 is so commonly used to describe everybody, regardless of unit or country, Army SF is using Green Berets more and more to describe their unit. When I first heard the "SF" attached to this event, I knew it would be taken as an Army Green Berets mission. And I post this article as a news item and not with any intent to cast negative comments against the Navy SEALS. Alot of people are bad mouthing the SEALS over an alleged fraticide event. While I have a hard time accepting anybody judging this group of SEALS unless they were there, I think it is best to let the investigation run it's course. 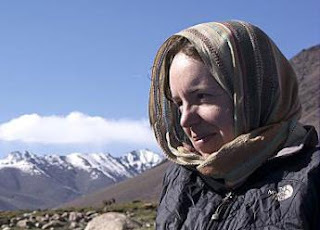 Startling details of the daring rescue mission that ended in the death of the British aid worker Linda Norgrove can be revealed today, as a joint US-UK investigation into the incident gets under way. The Guardian has learned that a US special forces soldier who is believed to have accidentally killed Norgrove is likely to face disciplinary action after failing to inform his commanding officers that he had used a grenade until long after the event. Sources in Kabul and London have confirmed that during the assault on the kidnappers ' hideaway the hostage broke away from her captors and lay in a foetal position to avoid harm. The soldier from the elite Seal Team Six special forces unit failed to see Norgrove and tossed his fra gm entation grenade in, which exploded next to her. Norgrove' s death was first attributed to an insurgent detonating a suicide vest – an account that was reported around the world. The use of a fragmentation grenade was first discovered when the taskforce commander in charge of the mission reassessed surveillance video of the attack and saw the Seal toss the grenade into the compound four seconds before the blast. It is unusual to use a fra gm entation grenade (as opposed to a smoke grenade or a stun grenade) in a hostage rescue. However, the rescue team carried them in this mission to give them flexibility in dealing with whatever resistance they met on the way to or back from the target. The Seals involved in the assault were summoned by their commander and asked if any of them had used a fra gm entation grenade. One stepped forward and identified himself, triggering a frantic effort by embarrassed US commanders to correct the official record and alert the British government. Absolute certainty on Norgrove's cause of death will have to await the official results of an autopsy but senior officers are almost sure that the investigation will show the US grenade was responsible. Top commanders, including the head of US forces in Afghanistan and Nato's International Stabilisation Assistance Force (ISAF), General David Petraeus, are said to be greatly distressed that a misleading account of the raid was initially provided to the British government, and concerned about the potential damage to the bilateral relationship. The fact that the Seal did not admit using the grenade immediately is seen as a matter of integrity among senior officers. Petraeus insisted that Downing Street should be informed as soon the true facts were discovered, in the early hours of Monday morning. He ordered a joint investigation, to be headed by a British brigadier, Rob Nitsch, and Major General Joseph Votel, who has extensive US special forces experience. "Petraeus was very clear that he wanted to flag something was wrong with the original account," a Downing Street source said. "They took another look at the video and immediately called us." Norgrove's family have expressed gratitude to US forces for "not sweeping under the carpet" the details of her death. From interviews with well-informed sources, both military and civilian, the Guardian has put together this detailed account of the failed rescue mission. Norgrove, originally from Sutherland in the Scottish Highlands, was seized on 26 September, when her car was forced off the road in Kunar province, near the Pakistan border. Soon after her abduction, she was taken to a stronghold in a steep-sided valley 8,000foot (2,400 metres) up in the mountains of northern Kunar. But her kidnappers were being watched. US intelligence had a network of informers in the area and drones circling above. They were watching Norgrove' s captors and eavesdropping on their radio conversations. All that intelligence was immediately passed to a British officer. By late last week it was clear, according to sources, that Norgrove ' s life was in very grave danger. One group of local elders was calling for her execution, talking of killing her like "the Russian" some years before, an apparent reference to the long war with the Soviet army, in which captured soldiers were often slaughtered in horrifying ways. The other option her captors were debating was shipping Norgrove to North Waziristan, the tribal territory in western Pakistan , which is almost entirely outside the control of government forces, and where it would be virtually impossible to keep track of the British woman and her abductors. From the outset, there was little question that if there was to be a rescue mission it would be carried out by Seal Team Six, a secretive US navy unit used for high-risk counter-terrorist operations. Commanders considered the only other special forces qualified to carry out the assault were the US Delta Force and Britain ' s SAS, which had rescued a British-Irish journalist, Stephen Farrell, last year. However, the SAS were too far away and did not have the MH-60, a Black Hawk helicopter highly modified for special forces night operations and just about capable of functioning in such thin mountain air. Furthermore, Seal Team Six had been operating in that area of northern Kunar for months. They knew the terrain and their adversaries. The assault was launched before dawn on Saturday morning, when it was thought the insurgents would be at their most groggy. Landing the Seals some distance away and creeping of the compound on foot was impossible. There was nowhere flat to set down for miles around. The only realistic option was for the US special forces to descend on the target compound out of the night sky, sliding down ropes, guns blazing. Far away, in the taskforce headquarters, the operation was being watched on six big screens, each showing a live feed from a different source — the drones, the helicopters and even the Seals ' helmet cameras. It was not the sharp green clarity as portrayed Hollywood films – sometimes a feed would be lost as an aircraft made a turn for example – but the unfolding action was clear enough. In the first few violent minutes, the plan seemed to be working. The six abductors holding Norgrove stumbled out of their huts into the central compound and were shot and killed. 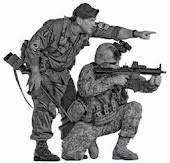 What the Seals did not see however, was one of the insurgents dragging Linda Norgrove out of a hut with him. She managed to break away and lay down, hunched up in the foetal position – the safest thing to do given the hail of gunfire around her – but on that moonless night, the Seals did not spot her, even with their night vision goggles. To the horror of the senior officers watching back at headquarters, the six big screens were lit up by a blast that seemed to come from the vicinity of Norgrove and the insurgent closest to her, and soon afterwards word came from the returning helicopters that Norgrove was mortally wounded. The operation had failed. The immediate assumption was that the blast had come from a suicide bomb, as it is not unusual for insurgents to slip into suicide vests if there is a risk of attack. Late on Sunday, however, the taskforce commander acted on a hunch and asked to see the video of the assault stored on the computer hard drive at its headquarters. Running through it again, he spotted one Seal, standing on the roof of one of the huts, toss something underhand into the compound. Four seconds later the screen went bright from the explosion. He called the team in and asked who had thrown a grenade. One man stepped forward. Within minutes, the Seal Team Six commander was on a secure line to Petraeus with the bad news. It was 7.30am in Kabul , 4am in London , but Petraeus quickly made the call to Downing Street , where a defence aide woke the prime minister. An operation that was supposed to draw on the strength of a close military partnership had ended with another civilian casualty in a dirty war and the bond of trust at the heart of the transatlantic relationship sorely tested. Alasdair Allan, the MSP for the Western Isles, said the Guardian ' s disclosures made it imperative that the Norgroves were given a full and frank explanation of what happened. Their distress about the botched rescue operation was heightened by the changing story about their daughter ' s death, he said. "It makes it no easier to cope with the situation when the facts change." Allan said he had already written a "strongly worded" letter to the foreign secretary, William Hague, and the US ambassador to the UK , Louis Susman, asking for the inconsistencies in the official account to be cleared up. "My view is that the family deserve the truth and the deserve all the information," he said. David Cameron promised Angus Macneil, the MP for the Western Isles, that the Norgroves would receive "all the help that they need". Meanwhile it emerged Sir William Patey, Britain ' s ambassador in Afghanistan , had paid a private visit to the Norgroves at their croft in the far west of the Isle of Lewis. Enter your Comments below. Keep it clean. 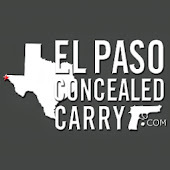 Guns Don't Kill People - Men With Beards Do! CSM (ret) Reggie Salinas - R.I.P. CW4 (ret) Jose Ibarra - R.I.P. CSM (ret) Mike Jefferson - R.I.P.